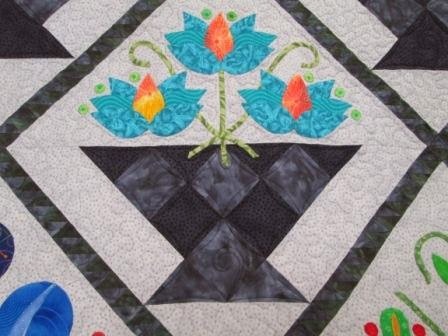 I got the machine quilting done on this big appliqué quilt for a customer. I just love this quilt. I helped her track down a few of the monthly patterns. It is a pattern from Quilter's Newsletter magazine. You get the patterns over a few months and she was missing some. I love the bright colours she has used. I used stippling in the background and curved echoing on the baskets. I also did some echoing around the appliqué. I kind of laughed when one young family member was saying she had to work the next 16 days in a row. 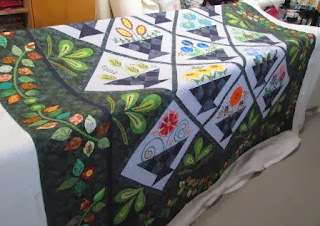 As a long arm quilting working at home I find myself working very hard over Oct, Nov and the first few weeks of Dec. 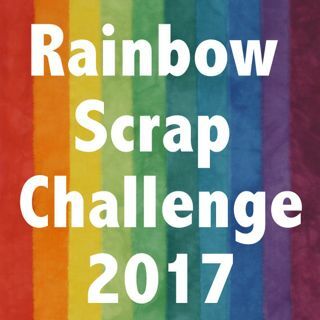 I thought 16 days? Well I took 5 days off at the beginning of the month and one day for a dog trial but then the rest of the month is work. I am in for 18 days in a row, then I get one day off again. Not complaining I love to work at home. Well back to work I go. Beautiful applique -- and beautiful quilting! 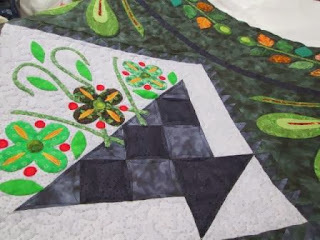 Is it harder to quilt an applique quilt than a pieced one -- on the long-arm, that is?